Aleks Trajceski, a former commercial pilot from Queensland, lost between $1.4 and $1.5 million on his stores. He said he only discovered that his cost of goods was a steep 41 per cent of sales after a few months of operating a store. Canadian national Tom Bulmer says he lost $200,000 on his Brisbane investment. He has returned to Canada, angry at Australia's expensive legal system. Bulmer is a lawyer. It's an unenviable position: half a million dollars invested and working punishing hours as customers ask whether your store is set to close and landlords breathe down your neck. This is how one Pie Face franchisee explains his circumstances, following the spectacular collapse of the once high-flying fast-food chain. The 11-year-old business, founded by former Wall Street banker Wayne Homschek and interior designer Betty Fong, had taken on Australia, the US, and Singapore. Store openings were planned for the Middle East, Japan, Korea and the Philippines. But now it's store closures and job cuts, fulfilling the bleak predictions of franchisees who said the vast majority of stores were unprofitable. Twenty stores are being closed, administrators Jirsch Sutherland confirmed on Friday, which will cause 130 part-time employees to lose their jobs. The losses are from NSW (11), Victoria (five), Queensland (three) and Pie Face's sole store in Western Australia. With 20 stores and two offices in NSW confirmed to be closing, there are just 50 stores left in Australia. Pie Face's final debt load has not been confirmed, although one estimate is $15 million, including a $7 milion debt to the Tax Office, plus suppliers. It's unclear how much Pie Face owes in employer superannuation. Meanwhile, insolvency firm Ferrier Hodgson has been appointed by major secured creditor Macquarie as receiver over certain assets. These assets include bank accounts and control of the agreement between Pie Face and casino billionaire Steve Wynn, who invested $US15 million in Pie Face's US subsidiary in 2012. When Pie Face started selling franchises, it spruiked high margins, low overheads, a strong brand and a "versatile all-day offering". Its franchise director told prospective franchisees: "Pie Face has invested over $10 million. It has now begun franchising, and the results speak for themselves. We are so confident of our franchise business opportunity that we are offering new franchisees up to $120,000 first-year profit protection." 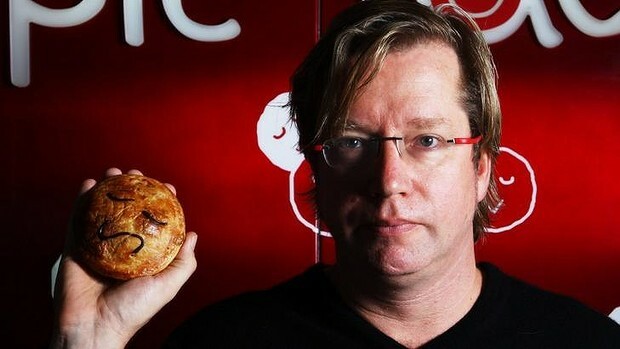 Years later, Pie Face's collapse has been blamed on rents of up to 25 per cent of sales, higher-than-expected cost of goods, and royalties of between 7 and 8 per cent. Others suggest the business was more focused on selling franchises and international licences than selling food, and today's company-owned stores are simply stores that franchisees were unable to make profitable. The report, for the week ending 23 November, shows the best-performing store brought in more than $41,000 in weekly sales; the lowest was just under $3,000. Depending on rent, one franchisee estimates that a franchise needs $25,000 in weekly sales to make a profit and be paid. The report shows the coffee-to-food sales ratio averaged 22 per cent. Yet franchisees say higher-margin coffee, sold as an add-on to the chain's pies, ideally should account for 40 per cent of sales to smooth out the lower-margin food sales. The average transaction value was $6.94. One market watcher said Pie Face was "paying aggressive rents for anything they could get their hands on. In some cases they were 30 to 40 per cent higher than any other retailer." Established Pie Face traders also suffered from the swift saturation of CBD sites in Australia's two largest cities. At its peak, Melbourne's CBD had at least 17 outlets and most of NSW's 39 stores were clustered in central Sydney. "It didn't make sense at the time. The rental levels they were putting on the table were extremely high," one Melbourne-based commercial agent said. "They were signing off deals within 24 hours. They weren't looking after franchisees very well in terms of getting them competitive market rents." Pie Face first met with Jirsch Sutherland in February at the request of Gary Blom of Main Street Capital, who was helping Pie Face raise money for working capital. The creditors' report shows that about 15 meetings were held with groups ranging from a public relations firm to lawyers and more lawyers. Another advisory firm McGrathNicol did a report on restructuring options, a deed of company arrangement was discussed, and refinancing Macquarie's debt or assigning it to an unnamed US investors were canvassed. 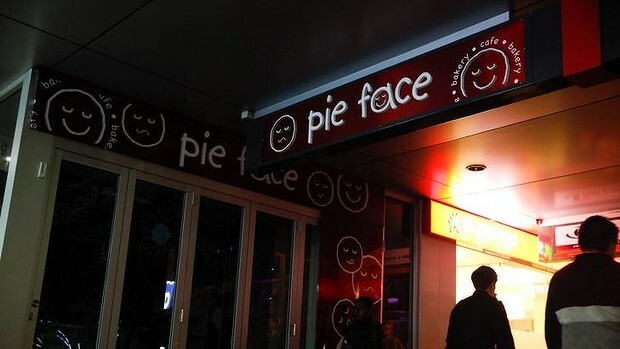 Meanwhile, over the course of 2014, Pie Face stores were sold to new franchisees and relationships with investors are said to have deteriorated. When Pie Face finally went bust on November 20, saying it would focus on wholesale and direct retail, the news provoked disparate reactions. Former franchisees lamented that their long-standing complaints, including to the competition regulator, had gone unheeded. The Australian Competition and Consumer Commission this week declined to comment on "potential investigations or complaints received." Existing franchisees are left hanging on next week's meeting with administrators and management. And investors, who have poured more than $35 million in Pie Face over the last five years with hopes at one stage it would list on the sharemarket, have predicted the company will pull through. Angus Geddes, the founder of sharemarket research and investment site Fat Prophets, said they had "already got the funding sorted … and the bottom line is the company is going to be fine." Beyond casino mogul Steve Wynn - who described the company's management team as "bright people with a bright concept" - investors include retail entrepreneur Brett Blundy and former Austereo executive Brian Bickmore. But Rich Listers staring down losses join a long line of people who have done their dough on Pie Face. Aleks Trajceski, a former commercial pilot from Queensland, lost between $1.4 and $1.5 million on his stores. He said he only discovered that his cost of goods was a steep 41 per cent of sales after a few months of operating a store. Canadian national Tom Bulmer says he lost $200,000 on his Brisbane investment. He has returned to Canada, angry at Australia's expensive legal system. Bulmer is a lawyer. One franchisee sheets the collapse down to low sales and growth problems. "Customers are more health-conscious and our prices are too expensive," the person said. "When they were in growth stage they opened up a lot of stores that didn't make sense." For remaining franchisees, it's a waiting game and many are sceptical the company can turn itself around - or that existing workers will stick around. After signing up dozens of franchisees from 2009 to 2012, many lease and franchisee agreements are up for renewal in the next couple of years. One said: "No one in their right mind is going to want to renew their agreements."